For a holiday is popular as National Bike Month, it’s no surprise that the range of great bicycle safety organizations overlap when it comes to hosting bicycle awareness events. 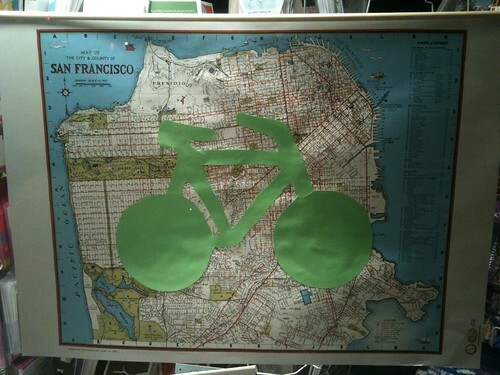 Last Thursday was California Bike to Work Day, as sponsored by bicycle coalitions throughout the Bay Area. Last week’s Bike to Work Day was a huge success, and although the Bay Area is experiencing worse weather this week, the League of American Bicyclists’ national Bike to Work Week, May 16 through May 20, has already made a strong impact as well. Here in San Francisco, Bike to Work Week has no doubt benefited from the San Francisco MTA’s efforts this month to improve bicycle safety with “bike boxes” on Market Street. The green boxes on the city’s busiest bicycle street makes cyclists safer by improving visibility and giving them the priority at busy traffic lights. The League hopes to build on this progress by raising awareness about bicycle safety and signing up new members throughout National Bike Month. League members are eligible to attend a number of free bicycle events during Bike to Work Week and throughout the rest of May. Remember to stay safe during Bike to Work Week. But also keep in mind that bicycle safety is not only important during National Bike Month. The awareness raised in May should endure to make bicyclists and motorists embody the “share the road” spirit throughout the year to enhance bicycle culture and reduce bicycle accidents.